ward-winning local business owners, Bob and Sue Urwin, together with their daughter Claire Boers and committed team, continue to be the agent of choice in the Oxford area. The high profile of Martin & Co Oxford, with a city-centre presence, has proven to be a winner for landlords, tenants, sellers and buyers alike. Located on Woodin s Way just off Paradise Street, Martin & Co Oxford belongs to a network of well over 200 sales and letting agencies throughout the UK. As all offices are operated by business owners with an expertise in the local property market, they have helped thousands of satisfied customers nationwide. 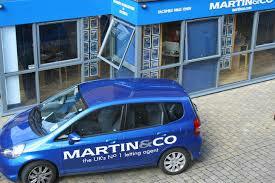 Martin & Co Oxford let, manage and sell property throughout Oxford city and Oxfordshire. Hey Buddy!, I found this information for you: "Martin & Co Oxford Letting". Here is the website link: https://oxfordlocals.com/ad/martin-co-oxford-letting/. Thank you.